How does a team that’s lost nine of its last 10 games have a fighting chance of making the NCAA tournament field? Because the NCAA selection committee would analyze 13-11 Indiana’s overall body of work. The Hoosiers have three Quadrant 1 (top-30 home/top-75 road) victories with wins against projected No. 2 seed Michigan State, No. 3 Marquette and No. 4 Louisville. Never mind a mediocre 47 score in the NET, the NCAA’s new metric replacing the RPI. The committee will look at everything, including a non-conference slate where the Hoosiers faced Duke and ranked in the lower 100s. Meanwhile, a team like N.C. State might have a far better NET score of 35. But the Wolf Pack have the country’s worst non-conference strength of schedule out of all 353 teams. Other initial surprises on the current bubble line might be several mid-majors snatching at-large bids. The NCAA tournament has featured fewer and fewer true mid-major conferences securing multiple bids in the last decade, with only an occasional West Coast Conference team serving as the outlier. But if the committee examines all the data properly and offers smaller teams a fair shake, 2019’s field could buck the trend of stellar mid-majors getting left out. This year the Ohio Valley and Southern conferences have two teams good enough to go dancing. While Wofford (No. 27 NET) is a comfortable No. 8 seed and leading the Southern standings, second-place UNC-Greensboro (No. 45 NET) has the profile to squeeze in as an at-large No. 12 seed. And while Murray State leads the OVC standings, Belmont (No. 60 NET, No. 43 non-conference strength of schedule) also is a projected No. 12 seed — as a play-in game in the bracket. And if projected No. 8 seed Buffalo of the MAC (No. 22 NET) or No. 10 Lipscomb of the Atlantic Sun (No. 30 NET) lose in their conference tournament, then their résumés would also be worthy of at-large bids. 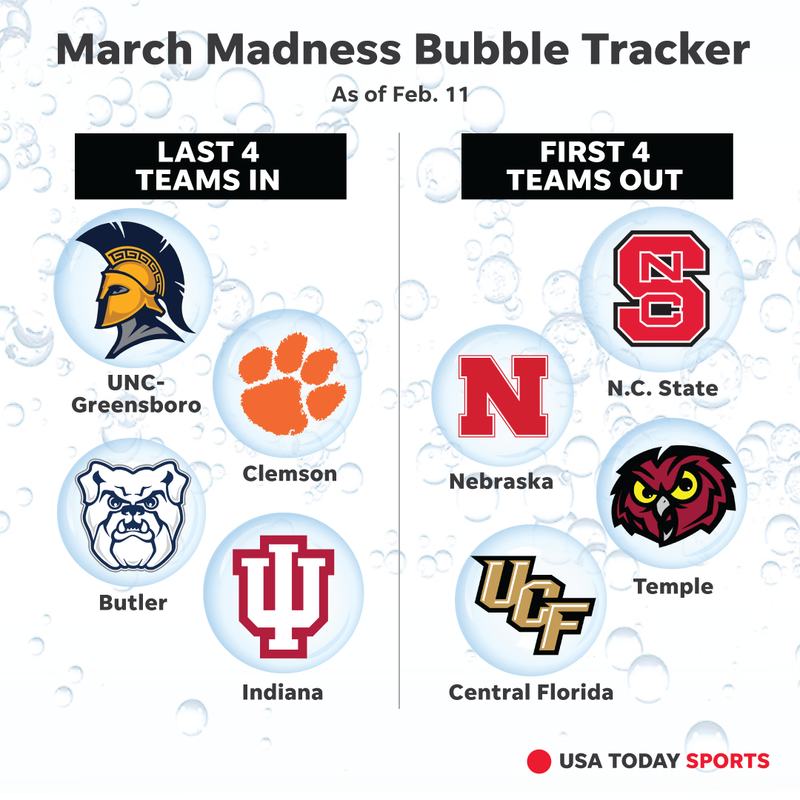 One reason mid-majors have more of a shot at punching tourney tickets is largely based on it being a softer bubble this year, with power teams’ credentials less impressive. Another reason is that these handful of mid-majors are doing what’s necessary in non-conference action to stay in the top 50 or 60 of the NET rankings — to make up for lesser in-conference opponents. The RPI was never a consistent metric and often didn’t favor mid-majors. NET won’t be perfect math, either. But elite mid-major teams this year challenged themselves in non-conference play enough to shift the narrative. Results/records shown are against Division I opponents only. Breakdown data as of Feb. 11. Note: Mostly all statistical data is used from WarrenNolan.com. The NCAA’s new NET rankings are also considered; that was rolled out at the beginning of 2018-19.